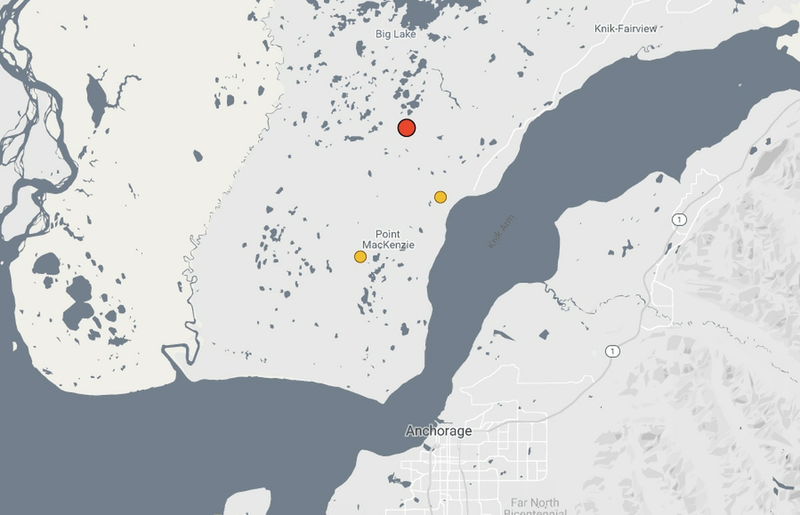 Another aftershock of the Nov. 30 earthquake rattled the Anchorage area Saturday morning around 7:14 a.m. The aftershock, with a magnitude of 4.0, is the largest to strike Southcentral Alaska in more than a month. The quake hit about 14 miles north of Joint Base Elmendorf-Richardson at a depth of about 21 miles, according to preliminary measurements from the Alaska Earthquake Center. Seismologists have previously said large aftershocks are becoming less frequent, though they are expected to continue into late fall.